The Mouth of the Columbia River South Jetty Site (SJS) is a dredged material disposal site located in the Pacific Ocean to the south of the Mouth of the Columbia River (MCR) and the South Jetty waters 40 to 60 feet deep. The site has an annual capacity of between 300,000 and 500,000 cubic yards of dredged material. Dredged material disposal is placed at this site for beneficial the coastline use. The intent is for the material to enter the littoral drift system, mimicking conditions that existed historically at the MCR. 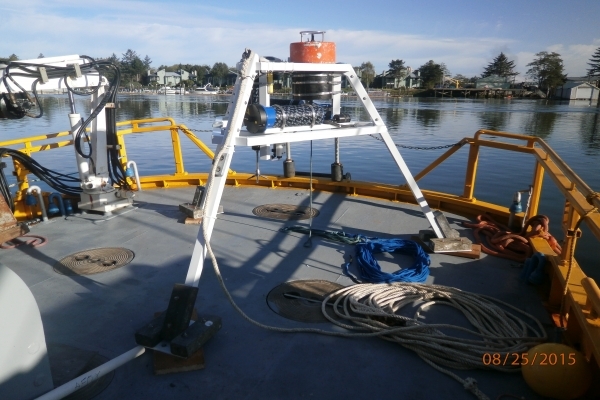 The project objective was to collect data and monitor in-situ physical coastal processes to measure the dynamics of the dredged sediment plume following thin-layer placements. The measurements had specific focus on the dynamics of the sediment plume front associated with the dynamic collapse and diffusive phases. 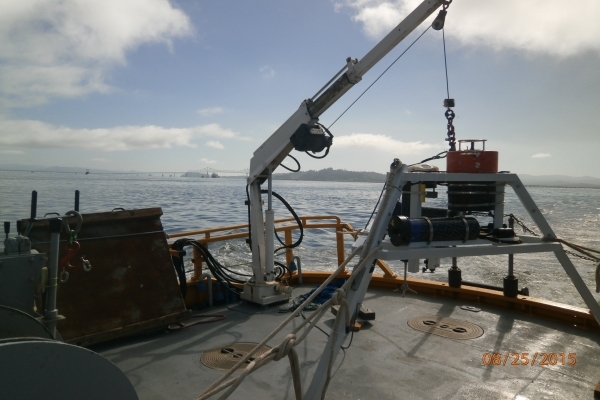 Accurate definition of the wave and current environment within the SJS area is essential to understanding the response of dredged material after placement. This information will inform the degree to which dredged sediment placed at the SJS is dispersed. Specific instrumentation and sampling strategy were discussed and coordinated to meet the USACE’s specific data needs. Instrument functionality was assessed prior to deployment through standard manufacturer recommended pre-deployment tests, and documented in electronic log files or screen captures. 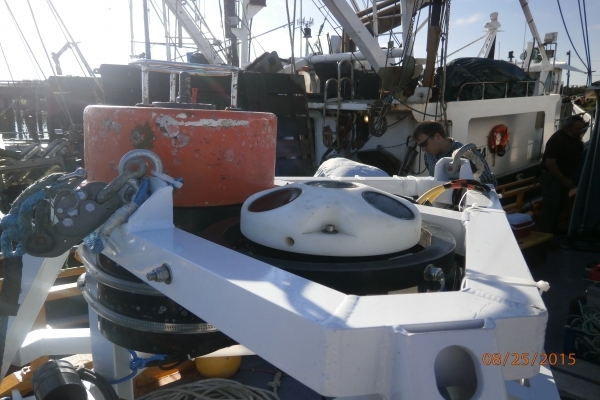 Compass calibration confirmation was conducted with all sensors prior to and following deployment. 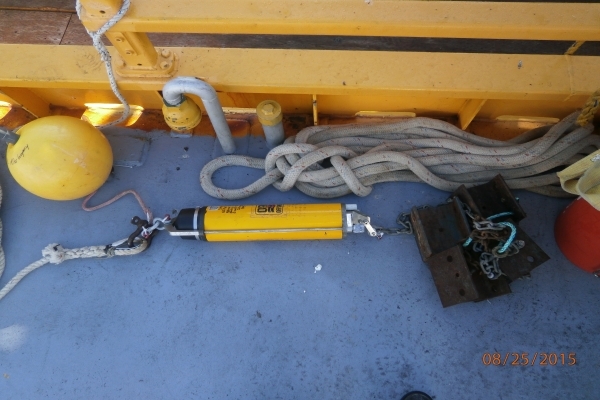 The frame was deployed and recovered from the 50-foot vessel M/V Forerunner from Astoria, Oregon. ANAMAR and Golder Associates were responsible for managing and executing the field work, including the calibration, deployment, and retrieval of the instrument frame. 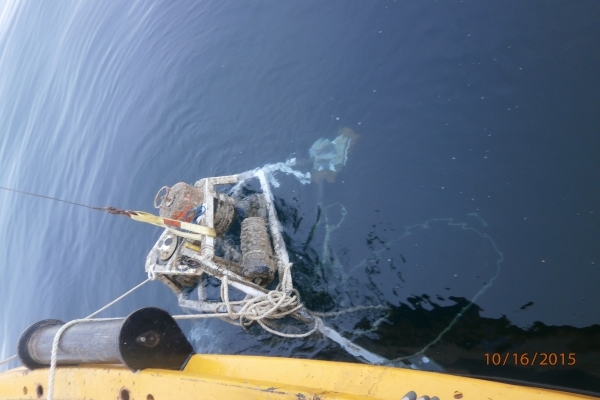 The instrument array was deployed for a total of 52 days spanning the period prior, during and immediately after dredged sediment thin-layer placement operations were conducted. 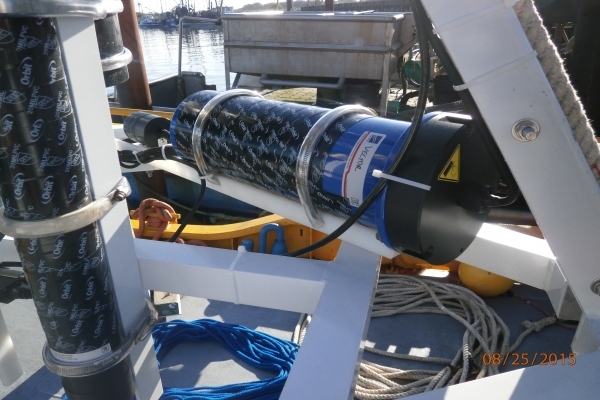 All meters were functioning and data from the entire deployment period was intact upon retrieval. The team processed all the datasets and generated a report for USACE. 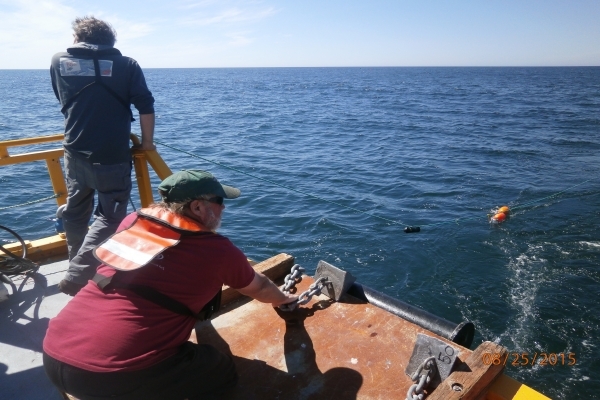 Instrumentation included acoustic wave and current profiler, acoustic Doppler velocimeter, optical backscatter sensors, pressure sensors, and transponders for the recovery system.